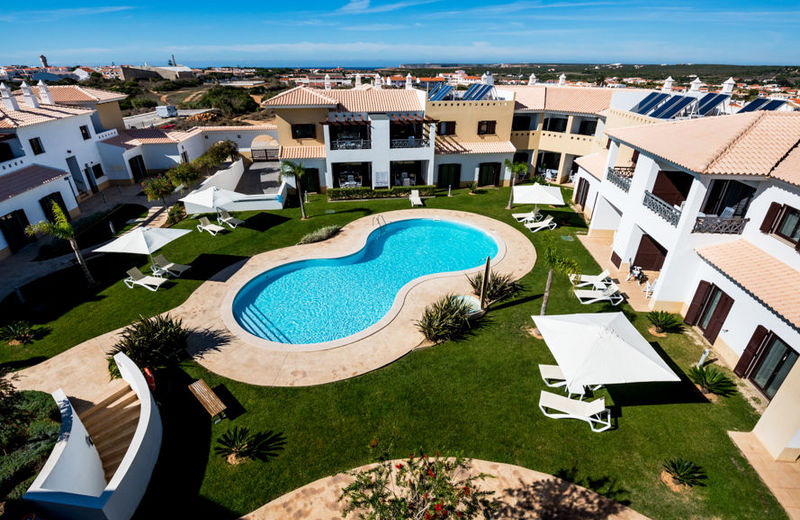 CARRAPATEIRA Surf Apartment - West Coast, Algarve Guests overall rating: ☆☆☆☆☆ 0 based on 0 reviews. Carrapateira is a tiny, typical and peaceful seaside resort along the national road N128 who join up the most south eastern point of Sagres with the National Park of Costa Vicentina boundaries, up to the North in Sines. Well regarded from the surf community as the heart of the south portuguese surf soul, you will be within a stone’s throw of the best beaches and surf spots of the SW coast – Praia do Amado, Praia Vale Figueiras, Praia de Arrifana, Praia do Cordoama and more of the secluded beach where you can get to only through dirty tracks… ( terrific breathtaking views along your drive! ). The apartments in Carrapateira can comfortably accommodate up to 4-5 people in cosy and bright white apartments, with the essential amenities for a concrete surfing holiday in Portugal. You will be immersed into the calm and relax of these places, far from the stress and the noise in town.. Many options for you, your friends or family: Surf in Algarve, Hiking and trekking around the natural park, bird watching in Sagres, and more..
Several local restaurants close by, offer Seafood specialty and catch of day on top of their menu! Duty shop in Bordeira and supermarkets in Vila Do Bispo can guarantee you everything you need. If you are coming from Lisbon of Faro main cities airports, we suggest you to rent a car for your moves along the coast. Situated in Carrapateira ( 5 minutes from Bordeira and Praia do Amado, 20 minutes driving from Arrifana and Sagres ) the apartments can comfortably accommodate up to 4 and 5 people. Duty shop in Bordeira and supermarkets in Vila Do Bispo can guarantee you everything you need. Several local restaurants close by, offer Seafood specialty and catch of day on top of their menu! Summer party are often from June- September with free entrance and live music! *1 or 2 daily session according to tyde and wave conditions. **Transport to the best surf beach ( go & return ) included for a minimum of 3 surfers. After a short speech with our surf instructors about surf and wave conditions of the day, we will go to the best daily surf spot compared to your skills and experience. Upon request: Packed lunch at the beach (2 sandwiches, one bottle of water 0.5 lt fruit juice, 1 fruit, 1 snack). 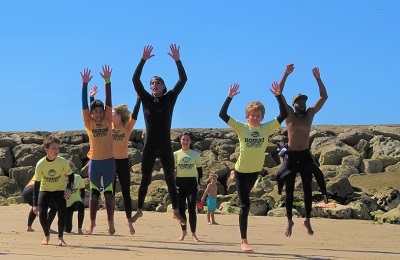 We can set up a special package for you (with or without surfing equipment) to surf the best spots of the Algarve from Arrifana until Sagres and more.. Ask for a quote! 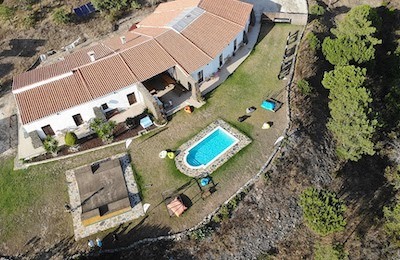 The apartments are situated in the small village of Carrapateira, only 5 minutes from the beach. Driving through the national road from Sagres ( 20 minutes) to Sines you will be in the heart of the wild and natural reserve of the Algarve, the National park of Costa Vicentina. 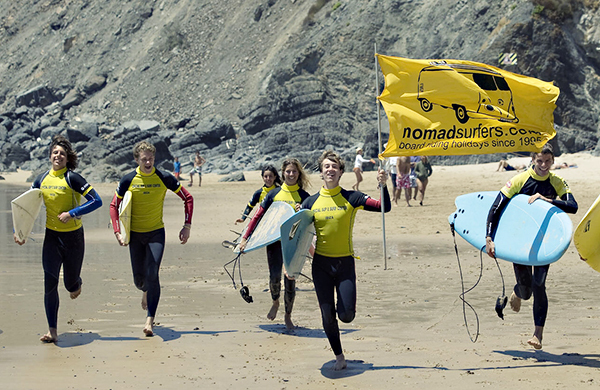 This surfing are is very well known being in the middle of the SW Coast! No mass-tourism around! Only secluded beaches and the best surf spot for the surf in Algarve. The Algarve is situated in the southern most part of Portugal, stretching along the Atlantic between the Spanish border and Cabo Sao Vicente, Europe’s south western most point. The southern coastline is formed by a long stretch of fabulous beaches, only broken up by impressive reddish cliffs. The west coast is wilder and the sea rougher, with a string of solitary coves and beaches accessed through dirty tracks. Sagres lies at the western end of the Algarve, next to Cabo Sao Vicente. The town has a magnificent fortress built in the 14th century with a giant 43 meters compass rose. Cabo Sao Vicente fortress is poised on high cliffs facing the Atlantic. It was built on the original Roman site of “Promontorium Sacrum” – or sacred promontory, as they believe the cape was the end of the world, being the southwestern-most point of Europe. Atlantic/Mediterranean, with mild winters and hot summers. Due to its exposure on a peninsula, the region enjoys excellent swell and wind conditions year round for the practice of surf or kitesurf. The apartments are situated between the Surf Spots and beaches of Praia do Amado and Carrapateira. Only 5 minutes driving from the beach.